Our dedication to maintain quality in our services has brought several accolades in the form of prestigious industry standard Awards and Recognitions. 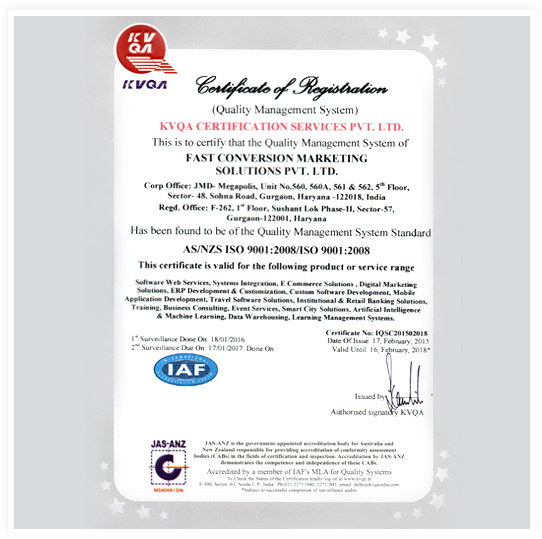 Fast Conversion is awarded the ISO 9001:2008 Certificate for quality management system. This is offered as a recognition of our ability to consistently provide products that meet customer as well as applicable statutory and regulatory requirements. We aim to enhance customer satisfaction through effective application of the system. 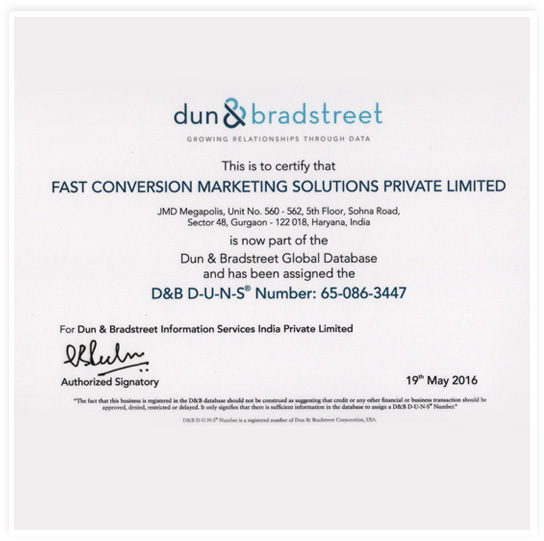 Fast Conversion is a D & B Certified Company. D & B Certification is offered to companies for their outstanding performance in Greater Quality Awareness, Positive Cultural Change and Increased Operational Efficiency and Production. We are successful to emerge out as an International IT Service and Solution provider.